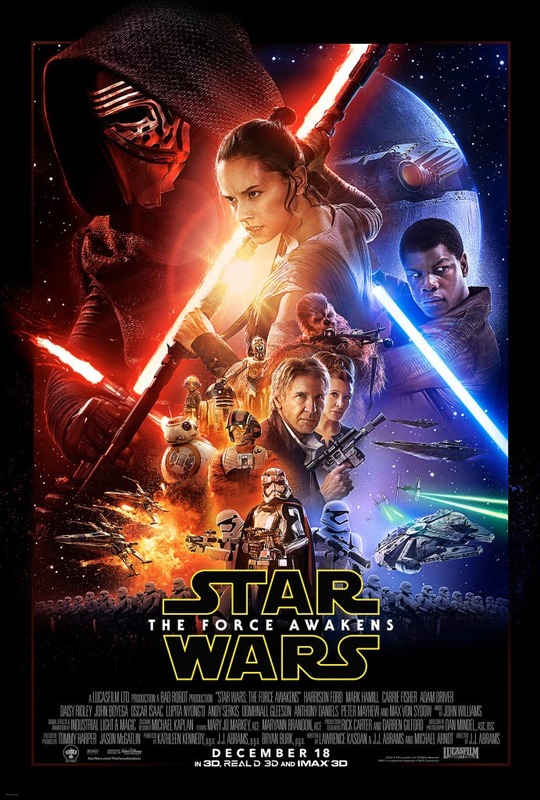 That disturbance in the force you felt was the latest exciting news regarding 'Star Wars: The Force Awakens.' First, a new poster made its debut featuring Han Solo (Harrison Ford), Princess Leia (Carrie Fisher), Chewbacca, R2-D2, and C3-PO surrounded by all the new characters - Kylo Ren (Adam Driver), Rey (Daisy Ridley), and Finn (John Boyega). Tickets will go on sale beginning Monday with other events announced by StarWars.com. And what's the point of paying $4 billion for Star Wars if you can't use it for some corporate synergy with your sports channel network? Disney will be running a brand new trailer during ESPN's telecast of Monday Night Football. As if NFL games don't already dominate television ratings imagine what happens when two fandoms collide. For those of you counting, and many of you are, there's 60 days until the release of the highly anticipated Star Wars film. The question is will you be able to find an available movie theater come December 18?